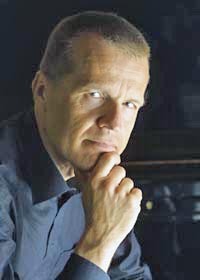 Olli Kortekangas (b. 1955) has from the outset trodden his own path in Finnish music. When his name first emerged from the younger generation of composers at the end of the 1970s, he belonged to the influential contemporary music society Korvat Auki (Ears Open, est. 1977). Kortekangas, however, seems to have been something of a dissident or a Doubting Thomas in their ranks. Whereas most of the other members of the society leapt in and experimented broadly with a variety of modernist styles and techniques, Kortekangas maintained a cool critical distance and was known on occasions to also hold up orthodox modernism itself for closer examination. In his writing, Olli Kortekangas has applied a very wide variety of stylistic and compositional starting-points, but in each work the material has generally been carefully limited. Features that often stand out include static surfaces composed of drawn-out sounds, a simplicity and transparency of texture, a spare, planed-down idiom, and the importance he gives to small gestures. With brief and yet thoroughly considered brush-strokes, Kortekangas paints enigmatic and captivating moods, often with more than a hint of mystery behind them. Violent, expressive outbursts are only rarely to be found in his music. Another typical trademark has been that Kortekangas has often expanded his musical expression with theatrical or visual elements.